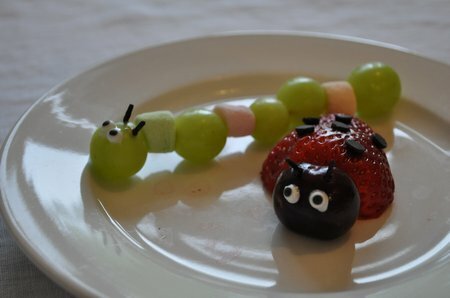 It’s Friday night, and Maddie, my youngest daughter who’s 5, and I were inspired by “Scientist in the School” bug day to create a bug themed dinner! We learned all about insect body parts, how they eat, and camouflage today at school through this great program, so at the grocery store we got to thinking it would be fun to make some buggy food for dinner. Here’s what we came up with. 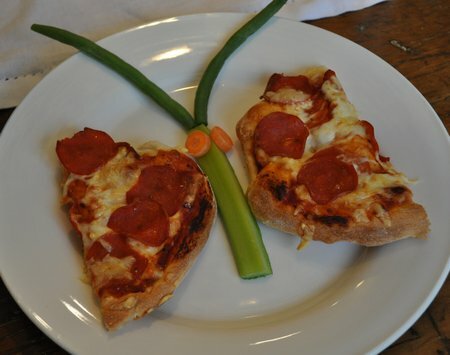 We made butterfly pizza, with a home made little pizza, a piece of celery, carrot eyes, and green bean antenna. 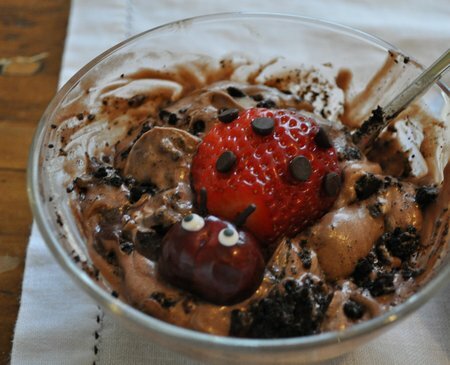 For dessert, we started out with dirt pudding. 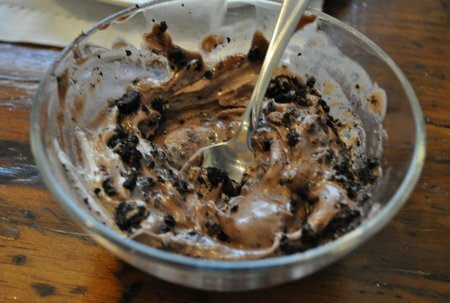 We used a chocolate pudding cup, mixed in some whip cream and some crushed Oreos. It was so yummy, I just might be “going to the garden to eat dirt” in the future! We also made some lady bugs. Their bodies -or thorax and abdomen (I was listening!) were strawberries, with chocolate chip spots. Their heads were cherries with candy eyes, and chocolate sprinkle antenna. 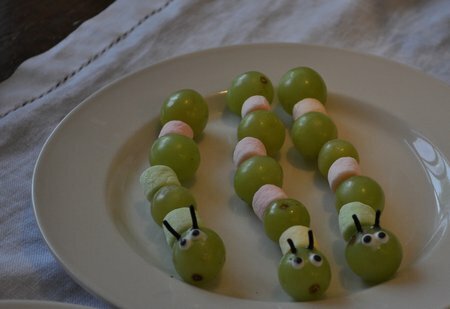 We also made some caterpillars out of grapes and mini marshmallows on a tooth pick, with the same candy eyes and sprinkle antenna. It was so much fun, the kids really enjoyed it. Life is what we make it, so we may as well make it a party…especially on a Friday night. 😉 Hope you have a great weekend.